Apple is apparently testing a new dual-processor (and dual mouse!) PowerBook G4 in a secret location in the Washington, DC, area. 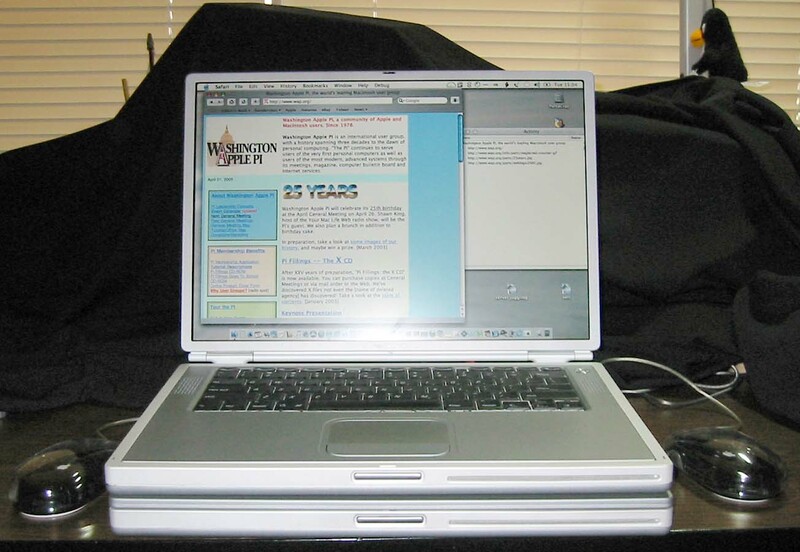 Based on this near-actual-size photo, the new PowerBook is a closer relative to the older, titanium-body PowerBook than the new, aluminum-body Powerbooks. According to our source, this new machine weighs exactly twice as much as the single-processor machines. No explanation was offered for the penguin in one corner of the photo.